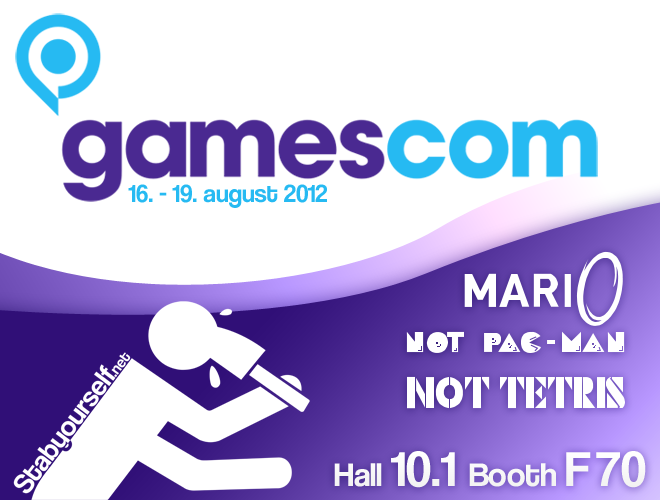 Will you be attending Gamescom 2012? 2. Will Mario SE be released before this event? 3. Will Not Pac-Man be released before this event? I second what slime said. Exactly what slime and RWLabs said, minus the canada part, as I'm in the states. Congrats and good luck! what the three stooges above said except I'm Australian, Guess I'll have to watch you guys through some ones web cam (say hi ren to whoever pops in saying they're recording for youtube). so what do you have planned for Gamescom? Apparently England is not close enough. I will be on holiday in Germany, but not for long, so I won't be able to come. If I think of it, If I still lived in Poland, which is next to Germany, I probably would be able to go. what about them showing off SE? isn't that what we want? does that mean that SE is releasing soon? you couldn't just put that in one post? why does everyone assume that SE is coming out soon? it's possible to go to germany from poland without a plane ? supermarioportal2 wrote: it's possible to go to germany from poland without a plane ? they're right next to eachother, so I'll say yes. I can say that I will not be there, it's too far from Bulgaria. I wish you luck! I would love to come, but it would seem that I am too far away. If you could somehow move it closer to me, It would be much appreciated. Everybody is just going to see Maurice. Filio wrote: Everybody is just going to see Maurice. Since everyone is saying where they are, I'll just announce that it's a bit far from Australia, especially during my school term. Edit: Renhoek's from Australia too? Interesting. I noticed, only one person is going, according to the poll. Which 27 people not going, which is 87% of the votes, just wow. popcan12 wrote: I noticed, only one person is going, according to the poll. Which 27 people not going, which is 87% of the votes, just wow. Well you got to remember: Many people don't live near where the event is taking place. And even then, many people don't have the money to get to there and/or pay for an entrance pass or whatever(Unless it's free, then just the first statement works). So it's not that suprising. so what do you have planned for Gamescom?????? You're about 8 months late. And don't sign your posts.